The existence of the transverse metatarsal arch (TMA) of the foot is a point of controversy. According to Kapandji, TMA of the foot elevates the 2nd to 4th metatarsal heads. 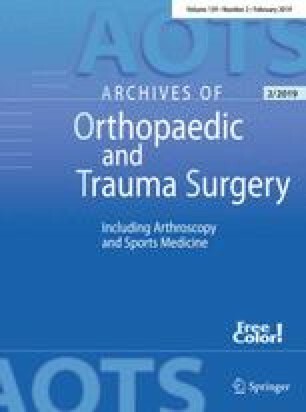 Some authors suggest the existence of TMA, while others suggest that there is no functional metatarsal arch of the foot. In this study, we evaluated the existence of TMA of the foot and weight distribution on the metatarsal heads with the EMED-SF (Novel H, Munich, Germany) plantar pressure analysis system. The test was performed with 16 volunteers. According to the three functional columns of the foot, the metatarsal region of pressure picture obtained from the EMED-SF system was divided into three regions called ′masks′. Mean pressures in the masks were calculated at the mid-stance phase. The highest mean pressure recorded was located at the 2nd to 3rd metatarsal heads (7.96 N/cm2), and the second highest pressure was at the heel (6.55 N/cm2). The pressures of the 1st metatarsal and 4th–5th metatarsal heads were 4.86 and 6.26 N/cm2, respectively. The difference between the pressure distributions under metatarsal heads was statistically significant (p=0.000). According to our results, TMA of the foot does not exist as described by Kapandji.